G’day, Australia! We’re about to bring you the power of SEMrush’s outstanding Listing Management tool, so you better be ready to use it! You know that all customers are looking for the best products and services around them, and they want results as quickly as possible. Are you sure your business will show up exactly when local customers are looking? So that you don't need to ask this question, SEMrush has collaborated with Yext to provide our Listing Management tool to automatically solve all your NAP-related problems. 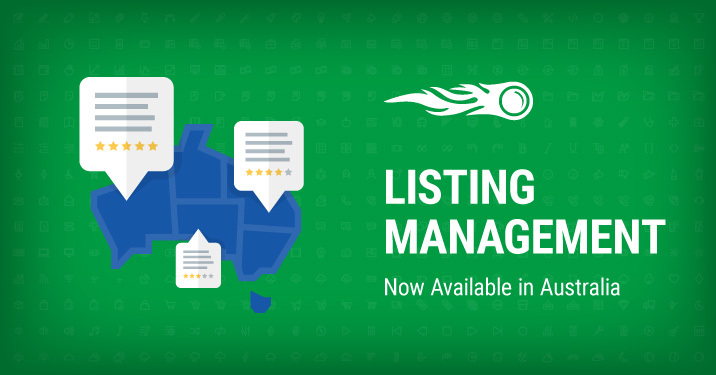 And now valuable data across all the most popular directories and intelligent services — including Facebook, Google, Yelp, Foursquare, TripAdvisor, Apple Maps, Bing, and many more, is available for Australian businesses too! The tool interface has undergone some changes. On the first tab, you can see a list of locations. The second tab is for duplicate listings. These can confuse your clients and search engines, so you should keep them under control. Recently, we’ve added a new feature to the tool. 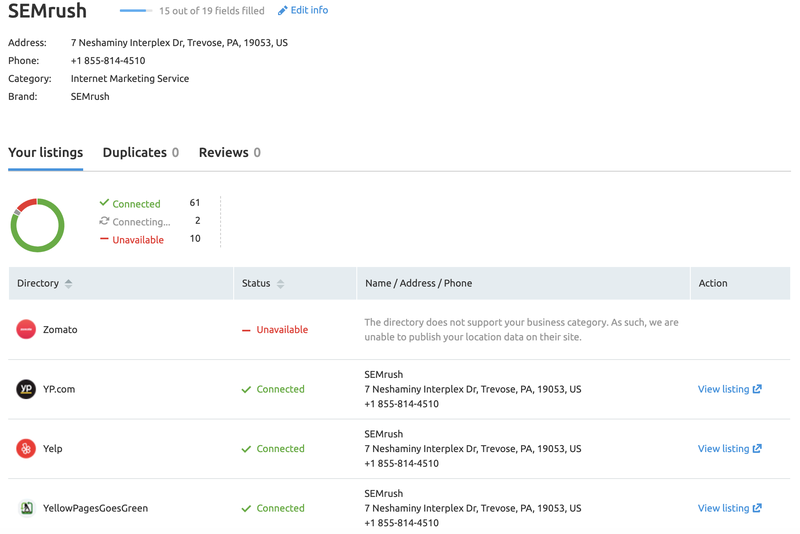 You can now watch reviews of your business: when you get a new one, it will be shown in the LMT interface. You can find user ratings and reviews in the third tab. If you need any help with setting up or using Listing Management, check out this article. Any questions or suggestions? Drop us a line at [email protected].